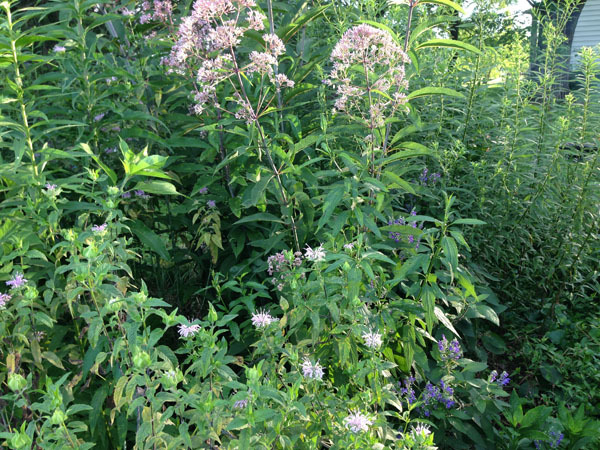 Commonly called Joe Pye Weed due to a native medicine man who used this plant for typhoid fever and Queen of the Meadow due to this plant’s stunning blooms in mid to late summer, Gravel Root is a plant that is related to Boneset, and previously shared the same genus, though Gravel Root has been moved to a new genus. 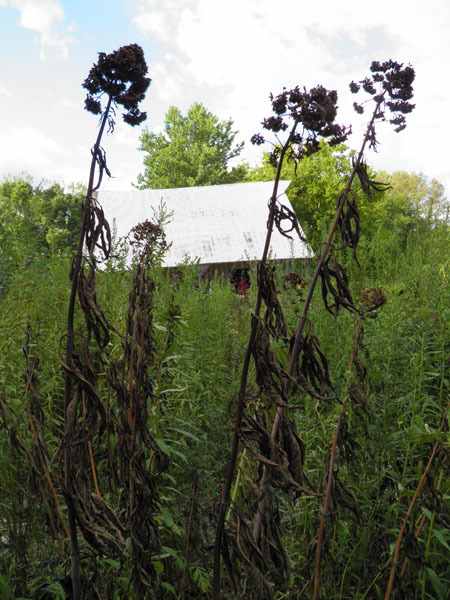 Gravel Root is also sometimes called Motherwort, Feverweed, Kidney Root and Purple Boneset. Do you have fresh or dried Gravel Root? If so, try a taste test. Chew a piece of root about the size of half your small fingernail with your front teeth and notice how Gravel Root tastes. Do you notice a bit of pungency? Bitterness? Any other flavors? How does your mouth physically feel, does it seem to be drying up or moistening? Getting warmer or cooler? Or staying neutral? 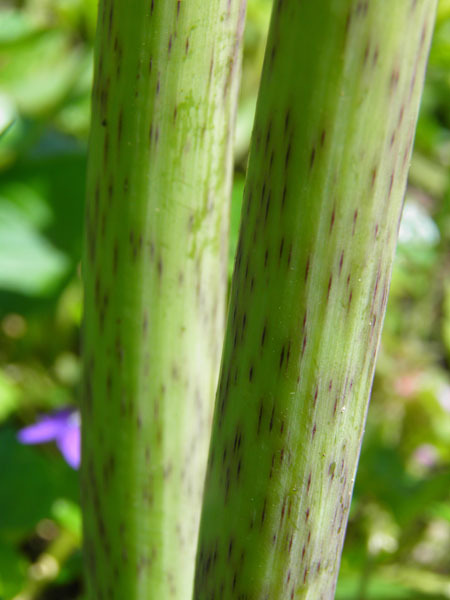 Most describe Gravel Root to be pungent and bitter, neutral to cooling and drying. Gravel Root’s nutritional information is unknown due to lack of research. Gravel Root contains the constituents of protein, carbohydrates, polysaccharides, the flavonoids queratin and euparin, the oleoresin eupatorin, the sesquiterpene lactones, essential oils, resin, tannins, and the unsaturated pyrrolizidine alkaloid echinatine. 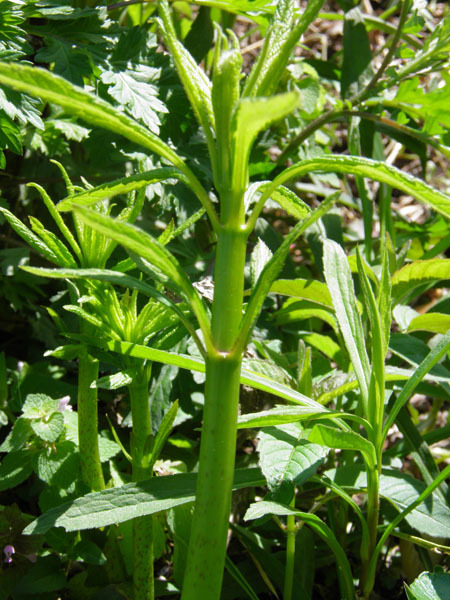 As the name implies, the root is the part of the plant that is used medicinally. Gravel Root has an affinity for the urinary system and the reproductive system. Gravel Root has a long traditional use for many urinary problems. As a lithotriptic, diuretic, stimulant and tonic, she has the ability to help dissolve stones, including urinary calculus, while toning and relaxing the mucus membranes and helping the urinary system to push the sediment out of the urinary tract. Gravel Root stimulates the flow of urine which can be helpful in reducing edema, inflammation in the bladder, and chronic cystitis. Gravel Root has also been used to help those who suffer from urination issues such as frequent, scanty urination, cloudy urine, leaking, dribbling and other forms of urinary incontinence, painful urination, gout, diabetes insipidus and rheumatism. Since Gravel Root is antiseptic and astringent, she helps to create an environment in the bladder that is inhospitable to bacteria that can cause chronic bladder infections. The urinary system isn’t the only thing that Gravel Root helps to balance. She also works well for balancing and toning the female reproductive system and especially for the uterus. 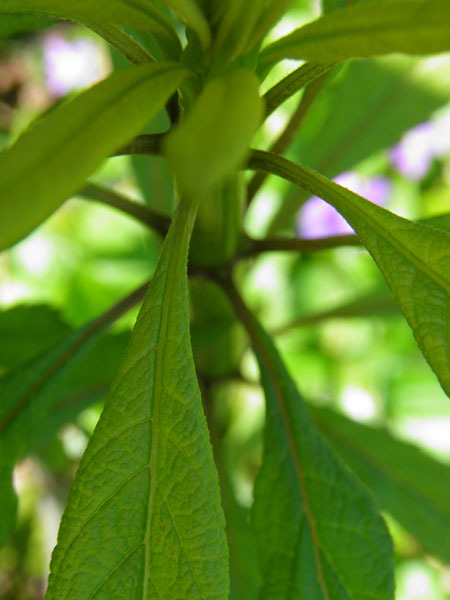 Another lesson in learning the botanical names of plants – Gravel Root has been previously referred to as “motherwort” due to her use for helping women with a history of miscarriages and was historically given three times daily to help prevent miscarriages that are caused by chronic uterine inflammation, tipped uteruses and prolapses. Gravel Root also helps to make labor go more smoothly and was often given to women who had previous difficult labors. As an emmenagogue, Gravel Root is helpful for women with menstrual cycles that are often irregular and scanty. For pregnancy, Gravel Root is most helpful when taken continuously three times a day. Matthew Wood talks about Gravel Root’s ability to “heal broken bones and eroded tissue” by remineralizing in his book The Book of Herbal Wisdom which is a similar action to her cousin Boneset. Gravel Root seems to be an herb that brings balance into the body systems that he affects such as breaking up calcification in the bones which is a build-up of calcium on the bones while also having the ability to bring calcium and other nutrients to the bone to help heal a broken bone. At the same time, Gravel Root helps to lubricate the bones as well as the muscles, tendons and joints, strengthening them, freeing up “frozen” joints, and healing strains, sprains, pulled ligaments and tendons. Gravel Root may also be useful for those who have stiff and deteriorating joints. Another lesser known use of Gravel Root is for her ability to help with digestive issues such as Crohn’s disease, colitis, enteritis, typhoid and other digestive issues which cause cramping, bloating, constipation, diarrhea, and inflammation in the digestive tract. Gravel Root is easy to grow, preferring damp ground but growing fairly well in well drained areas as well. 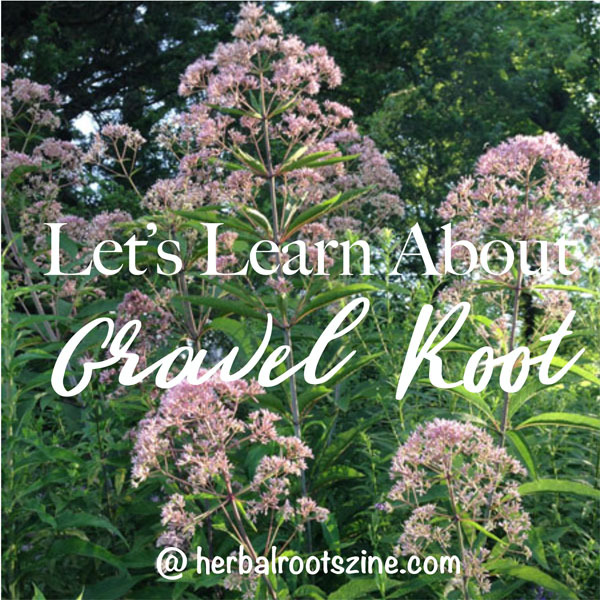 Want to learn more about Gravel Root? Grab this month’s issue for only $3.99 through the month of October. This entry was written on October 5th, 2018 by KristineBrown and filed under Uncategorized.